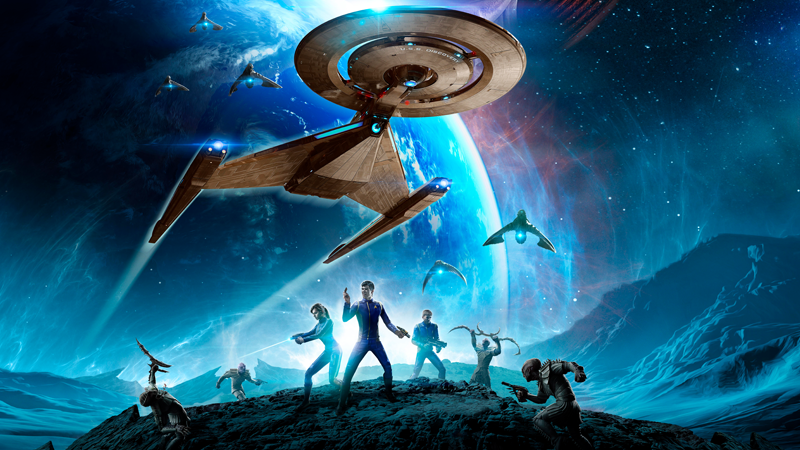 Star Trek Online is boldly going... back to the latest Star Trek show! Although since Discovery’s launch last year there have been a few tie-in promotions with Star Trek Online—players could get the Discovery crew uniforms as a bonus for logging in when the show debuted, and the game’s lootcrate system has previously offered versions of the Discovery and the Shenzhou from the show as ships players could unlock—Age of Discovery will be the first story-based content set in the timeline of the latest Star Trek show. Set in 2256 just after the Battle of the Binary Stars shown in Discovery’s first two episodes, the Age of Discovery storyline will see players dive into the new war between Starfleet and the Klingons, squaring up against J’Ula, head of the Klingon House of Mo’Kai, and sister of T’Kuvma. As players visit several locations from the first half of Discovery season one, like the mines on Corvan II or even the Discovery’s unfortunate experimental sister ship, the U.S.S. Glenn, they won’t be alone—they’ll be joined by the wonderful Sylvia Tilly, with Mary Wiseman reprising her role from the show. It’s a big move for Star Trek Online—and literally a whole extra time period of Trek history for it to play with, considering most of the game is set in the decades after the events of series like The Next Generation, Voyager, and Deep Space Nine. Not only is this the game’s first opportunity to play in the world of Discovery, it’s a chance for the time period to get fleshed out beyond the confines of the CBS All Access series while fans wait for its return. Given how good STO has been at offering intriguing continuations of beloved Trek shows before, it’ll be interesting to see its take on Discovery’s world. Star Trek Online: Age of Discovery’s first installment is set to launch on the PC version of the game this fall, before coming to PS4 and Xbox One versions at a later date.